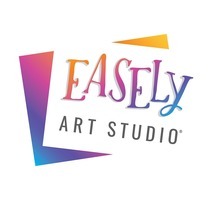 Easely Art Studio provides Painting Parties & Art Events for any occasion, whether in studio or we travel to you! We specialize in parties with step by step instructions or outlined canvases to make painting easy for beginners of all ages. Our painting parties are great for kid birthdays, ladies' nights, anniversaries, church events, bachelorette parties, team building, group date nights, or corporate events. Our studio supplies everything you need, including canvases, easels, paints, brushes, aprons and more. Special pricing for the Utah Kids Club, join us in our studio during our Open Paint sessions for only $12 per painter, all supplies included! Open Paint hours would be Monday through Saturday, 10am - 8pm and Sunday, 12pm - 5pm, unless otherwise noted. Just show your Utah Kids Club card for 3.00 off each painter.